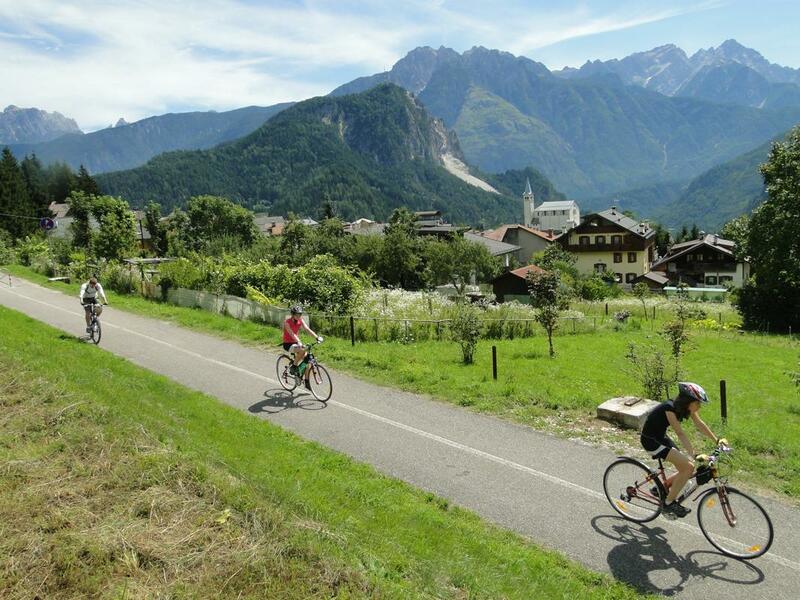 The great opportunity of East Tyrol is the huge amount of cycle paths for everyone. It is so called heart of Austrian cycling. You can find cycling paths around every corner. Everyone can choose their cycling level. Either families with small kids, amateurs, or trained mountain biking fans. If you are not sure about your current skill and ability, we can take care of it for you and help supply you an electric bike, which will boost your skill and let you conquer every mountain. Here is interactive map of East Tyrol and most of its beautiful cycling routes. The Greatest opportunities of most local cycle paths are, that they are designated only for bicycles and roller-blades. You will barely meet any car during your trip as on most paths, cars are not allowed. Those routes are situated on the edge of the rivers bank and you can choose if you want to head down alongside the river or if you want to go with the tide in the opposite direction. Even small children, retirees or those who don’t spend much time on bikes during the whole year can easily make dozens of kilometres per day. Kals circuit: – straight in Kals, easy trip about 20km long which will guide you through the beauties of Kals and its neighbourhood. If you will choose this trip it will make a pleasant surprise for you. Drau route (Drauradweg): – One of the most famous outdoor cycling routes in the whole of Austria. It is almost 400 km long, starts in the Italian resort Toblach and heads towards river Drau across Lienz, Spitall, Villach and finishes in the Slovenien city of Maribor. Closer information can be found on www.drauradweg.com. From our point of view the most interesting part starts in Toblach and heads to Lenz and also from Lienz to Milstatter See. You can also use special trains to get back to your starting destination. Iseltal Radweg (cca 30 km) – Cycle path around river Isel which starts in a small city called Matrei and finishes in Lienz. It is about 30 km long and is great for both cyclists and roller bladers. Its rideable for everyone and surrounded by High Taury mountains and Austrian Dolomite. More details are available on www.tirol.at/a-mountainbike-tour-radwanderweg-iseltal. Toblach – Cortina d´Ampezzo – Drava cycle path is followed by a path from Toblach to Cortina d´Ampezzo. Even though this path is not in the close neighbourhood we really recommend it and we will be glad to help you organise your trip there. It is not a hard or tricky path even though it has its ups and downs. It goes through the old railway road and it also has lovely views, as you will have to cross many tunnels, bridges and beautiful mountain paths. Kals and the whole of east Tyrol is a centre for mountain bikes lovers. East Tyrol- A lot of fantastic paths are described on www.portal.tirol.gv.at.